Even with diet and exercise, most people have stubborn pockets of fat that seem impossible to lose. 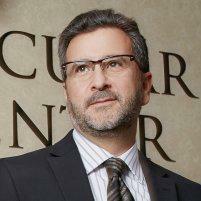 At Shore Vascular & Vein Center in Somers Point, New Jersey, Jeffrey Gosin, MD, FACS, uses the SculpSure® body contouring device to eliminate these stubborn fat areas. SculpSure’s body contouring technology targets and destroys the targeted fat cells safely and quickly without affecting the skin’s surface. If you want to know whether SculpSure can help you lose unwanted fat, call Dr. Gosin to schedule your consultation or book online. SculpSure is a noninvasive body contouring device that uses lasers to target and eliminate fat cells. 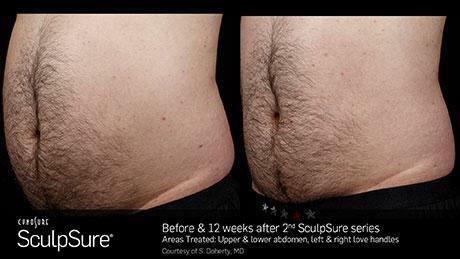 Unlike other types of fat reduction techniques, SculpSure requires no surgery and has no downtime. The SculpSure device applies targeted laser energy to heat fat cells under your skin without affecting the skin’s surface. This raises the temperature of targeted fat cells, damaging their structural integrity beyond repair. Over the next three months, the damaged fat cells are processed and eliminated by your body’s lymphatic system. These fat cells are permanently removed and will not regenerate. SculpSure treatments are currently FDA-approved for reducing fat in the belly, back, thighs, under the chin, and love handles. SculpSure treatment is most effective for people struggling with particular “trouble spots,” and it’s not the solution for major weight loss. SculpSure works on every body and skin type, and boasts a 90% satisfaction rate. What can I expect during SculpSure treatment? 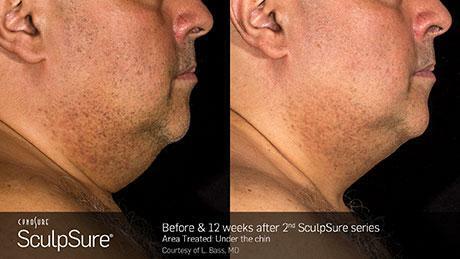 After Dr. Gosin applies the SculpSure device to the targeted area, you initially feel a cooling sensation. This helps keep the skin comfortable during treatment and will run during the entirety of the procedure. The SculpSure lasers will cycle on and off, raising the temperature of the fat cells without harming your skin. Most patients feel a deep warmth or tingling sensation intermittently throughout the treatment, which is typically completed after just 25 minutes. You can then resume your normal activities immediately. You should see results anywhere from 6-12 weeks following treatment, and some patients benefit from a second treatment after the initial 12-week period. Are you struggling to get rid of those pesky love handles? Let Dr. Gosin at Shore Vascular & Vein Center in Somers Point, New Jersey, provide a safe, effective, and noninvasive treatment of SculpSure to melt those problem areas away. Call to schedule your consultation or book online.